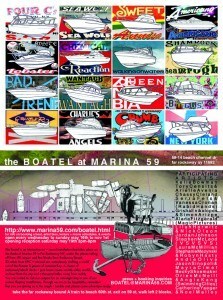 The boatel is a flurry of activity. I got to peak into several of the boats, and each one is a handmade environment, reflective of the spirit of the artist creating it. 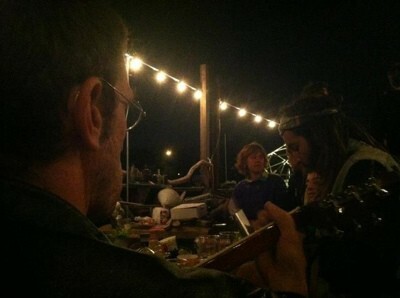 Each one is totally unique, engaging and lovely. The common doc that they are building is a great place to sit and watch the majesty of flight large and small: there are swans, gulls, and egrets just a few feet away, as well as huge low flying jets taking off from JFK! If you’re lucky, you may also see someone use the “work raft”: someone gave a shipping palette new life by putting foam underneath so it will float, and an easy chair on top. Oar locks were suggested to be added! Also, one of the joys of driving down to the Boatel is stopping at New Park Pizza. Andi Olive, I think you would agree. 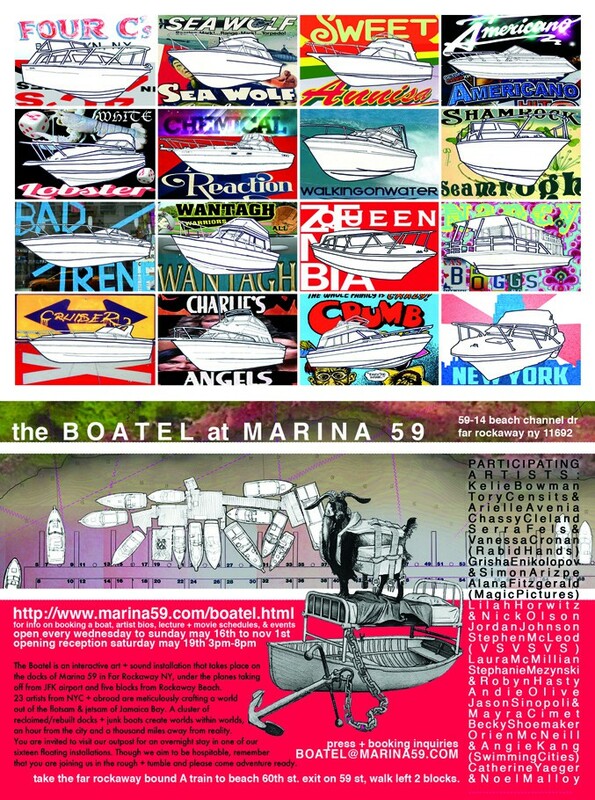 This is the flyer for the Marina 59 Boatel!